We represent two Chinese tablet companies, and have tested more than 30 different tablets models in the past. Ainol NOVO 7 Aurora the new English limited edition is simply the best. IPS screen on the new Ainol NOVO 7 Aurora is switched from Hitachi to LG. It is very bright and very accurate color representation. 1024×600 pixel HD screen gives you the same feeling as iPhone 4′s retina display . Very wide view angle. The battery life of the new Ainol NOVO 7 Aurora is better than most of the other Android tablets . The standby time is a couple days. new Ainol NOVO 7 Aurora ’s screen is also very responsive to touch aside from its brightness. This is 4X resolution than your HD TV 1080P. You don’t really need such high resolution on a tablet , but when you hook the new Ainol NOVO 7 Aurora onto your big HD TV using HDMI cable, you see the difference. It’s really amazing. 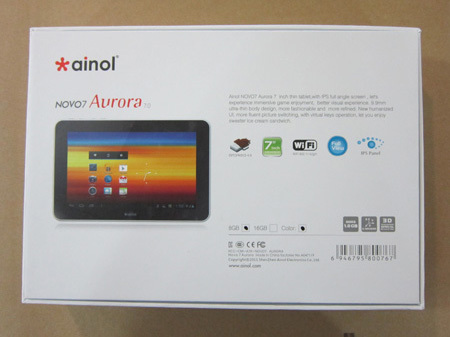 The CPU of the new Ainol NOVO 7 Aurora is ARM Cortex-A8 CPU, so it gives you very good app compatibility. The new Ainol NOVO 7 Aurora is the thinnest 7 inch tablet we have ever seen. It’s about the same thickness as iPad 2 and the new iPad . You have to make sure you buy the new English limited edition Aurora (from Ainol’s oversea distributor : uPlay Tablet ), which has English package, warranty card, Quick Start Guide, and English language apps. Most sellers are selling the Chinese version, which has everything in Chinese. Unless you can read Chinese, the Chinese version will give you a lots of trouble. Although the seller can set the language in English, but it will switch back to Chinese whenever you reset the tablet . 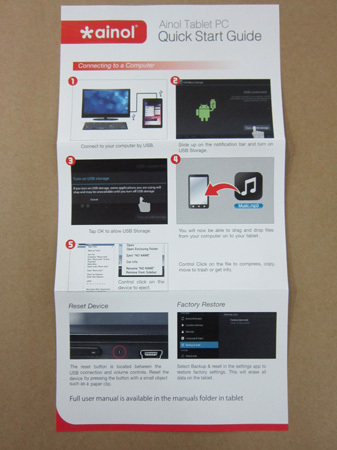 In addition, all manuals and most of the pre-installed apps are Chinese as well. Again make sure you buy the new English limited edition of Ainol NOVO 7 Aurora. It has Google Market and Flash pre-installed. The Chinese version doesn’t have Google Market and Flash. The new Ainol NOVO 7 Aurora plays most games with no problem and they look even better than ever with a clear crisp image. This allows you to view games and videos on your big screen HD TV. The new Ainol NOVO 7 Aurora is running the latest Google Android 4 .0.3 software, which is much better than early versions from Google. Higher resolution than most cameras you found on Android tablets . However, it only has front-facing camera, no back-facing camera. Only one mini USB port, no standard USB port on the new Ainol NOVO 7 Aurora, but Ainol has provided mini USB to USB cable. There is no bluetooth on the new Ainol NOVO 7 Aurora. You won’t find bluetooth on any of the tablets lower than $200, so this is not only on Aurora. 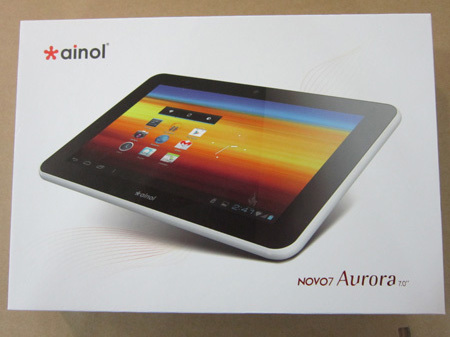 You can buy the new Ainol NOVO 7 Aurora Limited English Edition 8GB White from our store.